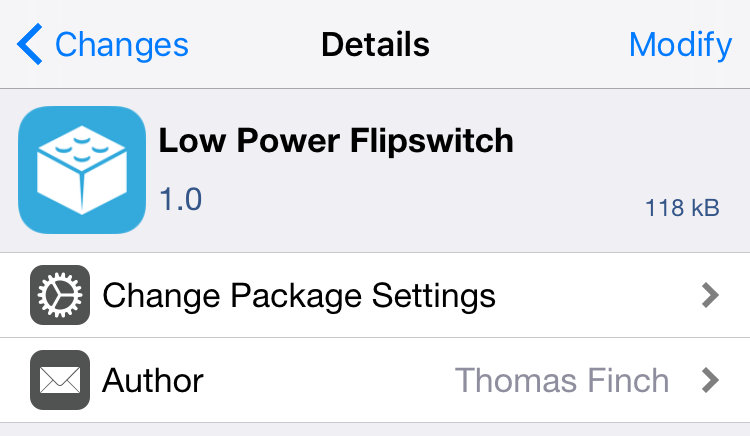 Low Power Flipswitch is a new Flipswitch toggle that allows you to quickly enable or disable Low Power Mode on iOS 9 devices. Flipswitch is the long-running framework that lets developers access standard toggles, and create new toggles. 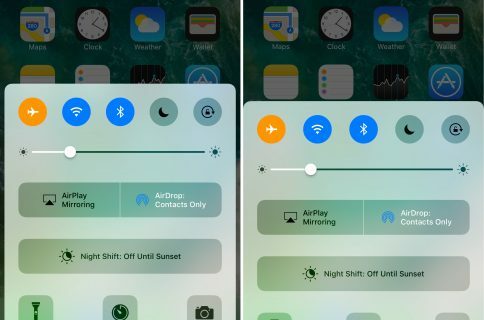 With a tweak like Ryan Petrich’s FlipControlCenter, which was recently updated to support iOS 9, users can easily enable a Low Power Mode toggle that’s directly accessible via Control Center. Check out the rest of this post for more details. 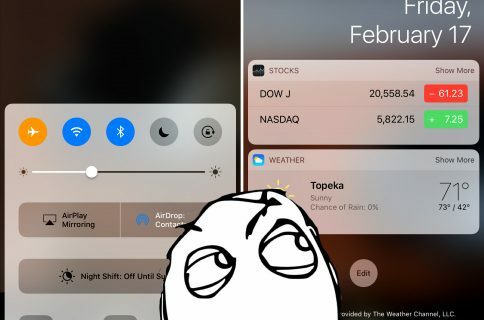 As mentioned, you’ll need to install the Low Power Flipswitch Toggle, along with a jailbreak tweak that takes incorporates Flipswitch toggles, such as FlipControlCenter. Once you do, go into the tweak’s preferences, and make sure the Low Power Flipswitch toggle is enabled. In the example above, you can see that I have the Low Power Mode toggle as a part of my active switches for Control Center. Therefore, whenever I invoke Control Center, I can quickly enable of disable Low Power Mode without venturing into Settings → Battery. 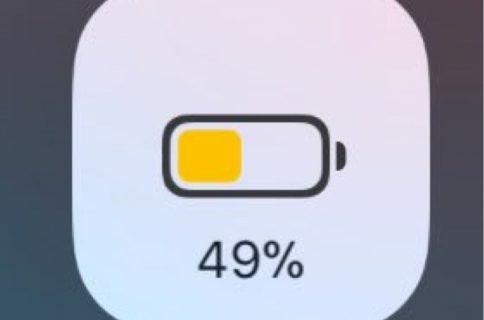 As we’ve seen from previous posts, Low Power Mode is a great way to save on energy, because it cuts down on system effects and heavily throttles an iPhone’s CPU performance to save battery life. It’s not something I would use 24/7, but it can certainly be helpful if you’re in a bind and you need to save battery life. 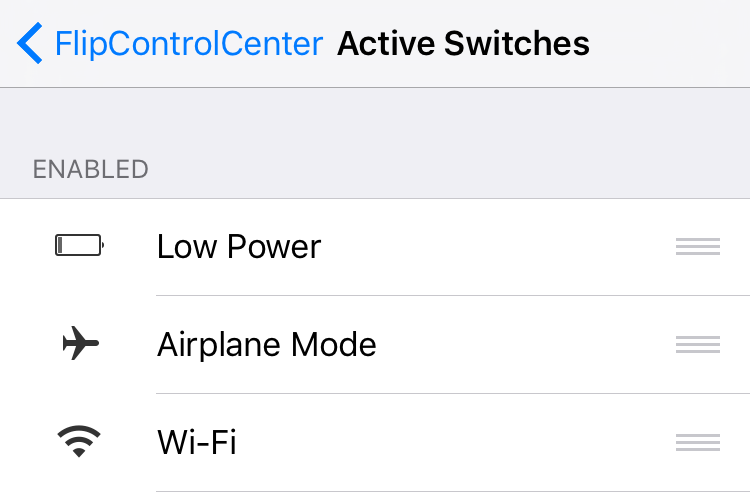 Thanks to the iOS 9 jailbreak, it’s now even easier to enable and disable Low Power Mode on the fly. 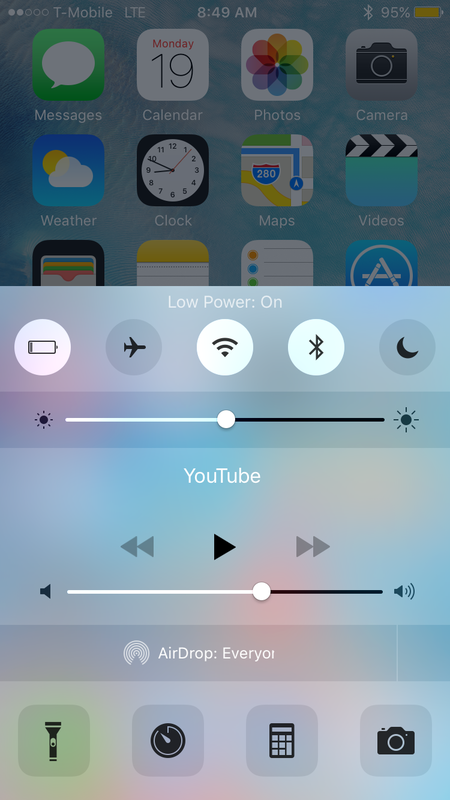 Do you plan on using the Low Power Mode toggle on your jailbroken iPhone?